This post is sponsored by REMBRANDT and Plackers. I received complimentary samples for review purposes only. 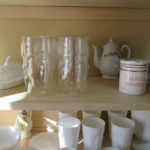 The warm weather is drawing me out while also putting me in a spring cleaning mood. There are days when it’s so pretty out that have to make myself stay indoors to finish projects I start. 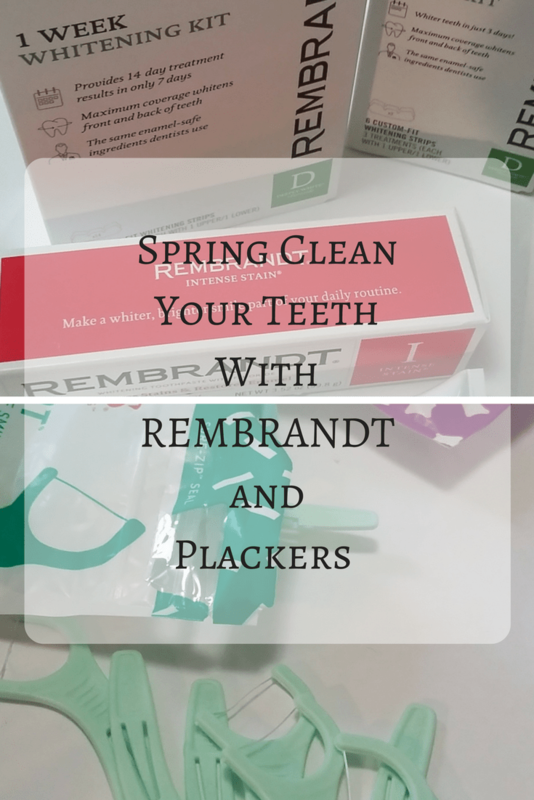 There is one project I don’t have to force myself to complete and that’s spring cleaning my teeth with REMBRANDT and Plackers. We all know what a coffee and tea lover I am so it’s no surprise that I have to work harder than some to get and then keep stains away from my teeth. There’s no better time than now to get a dazzling smile in time for all of the fun I plan to have this year. Now I love a good challenge and this year more than others, I’ve been drinking more hot beverages. We had snow for the first time in many many years and it was seriously an unusually rainy wet winter. It seems like every time I took Peanut out to do his business, I’d have to come in and make coffee, tea or even hot cocoa. More beverages = more stains. More stains = more frowns. And then along comes REMBRANDT at a time when I really needed it most. I’ve never tried REMBRANDT before but I have heard of it. I always thought from the raving reviews I’d read about it that it must be super expensive. The first thing I did when I received a package of REMBRANDT products was to Google the prices on what I received. Does that make me sound cheap? Or maybe just frugal? Regardless of how it sounds, I went on a hunt for prices. And I was pleasantly surprised. 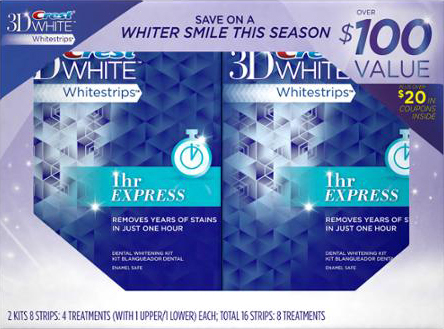 REMBRANDT® DEEPLY WHITE® + Peroxide Toothpaste = $6.99. I just finished a tube of the DEEPLY WHITE® + Peroxide Toothpaste and I’m ordering more TODAY. I absolutely love both of the kinds of toothpaste. I started on the second one (below) about 3 days in, alternating one in the morning and one in the evening so I’ll be ordering more of that too, or picking some up at Walmart, and truthfully, they both work wonderfully so even if I choose one over the other, either product is a great choice. 1 is for intense stains and 1 for deep stains. You don’t need both but since both seem to be working for me, I’ll continue as I am for now, using the deeply white in the morning, doing the strips in the afternoon and using the intense stain toothpaste at night. REMBRANDT® INTENSE STAIN® Toothpaste = $6.99. There are two kinds of strips that I’ve been using. 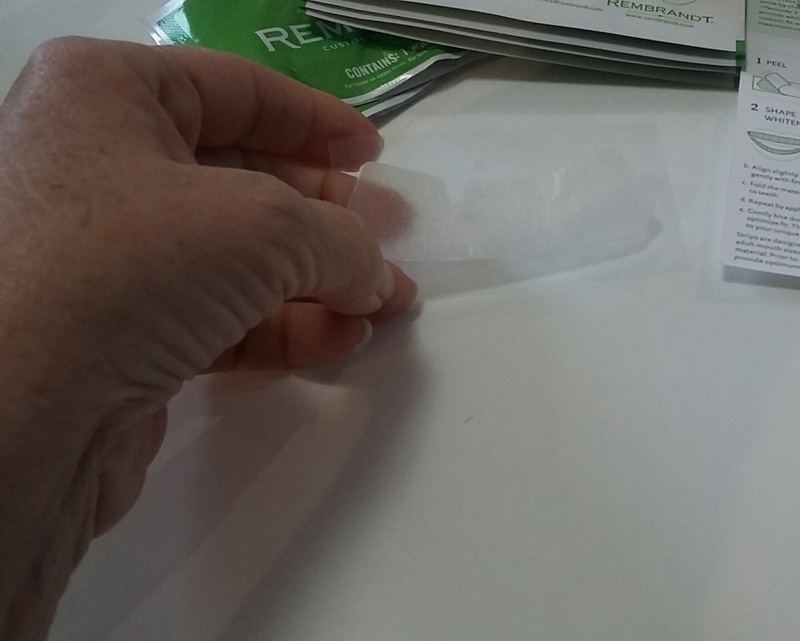 One is a REMBRANDT® 3 Day Whitening Boost Kit also only $6.99 which I completed days ago and the other one is a REMBRANDT® 1 Week Whitening Kit which I’m still using. I waited for a little while in between the two kits although I probably didn’t have to. I have sensitive teeth so I just felt like it might be a good idea to give my teeth a break in between. Even this kit is affordable at $24.99. I am about 75% confident with my results so far compared to 0 when I started using these products. I’m not at a comfortable wide smile yet but I will continue to use these products and make them a part of my daily life now and in the future. I do believe with continued use, I’ll be 100% happy with my smile. It’s been a long time since my teeth looked and even felt this good. My dentist is going to be amazed next month when I go for my annual cleaning. 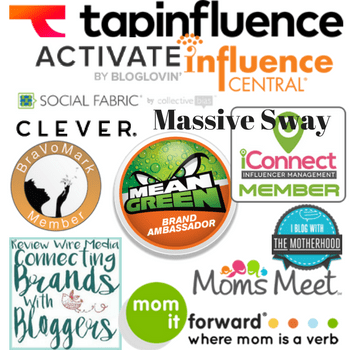 You can buy these products and more online or at your favorite retail store. Follow REMBRANDT on Facebook and Instagram. 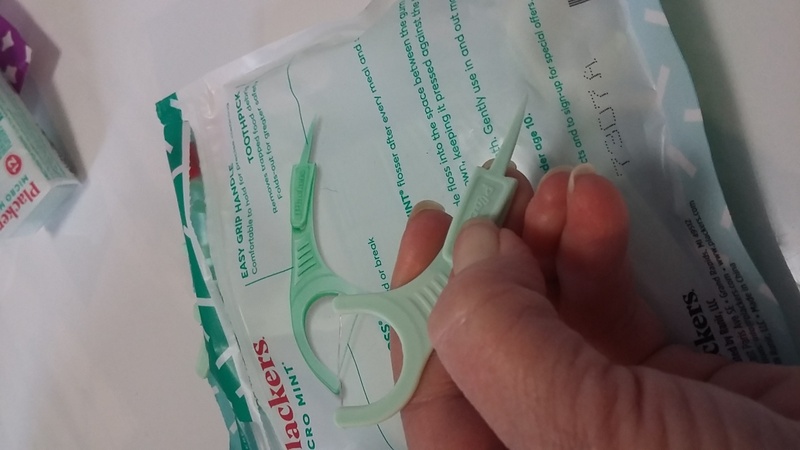 Along with using the teeth whitening products, I’ve been using Plackers Flossers(in a handy-dandy sure zip package). 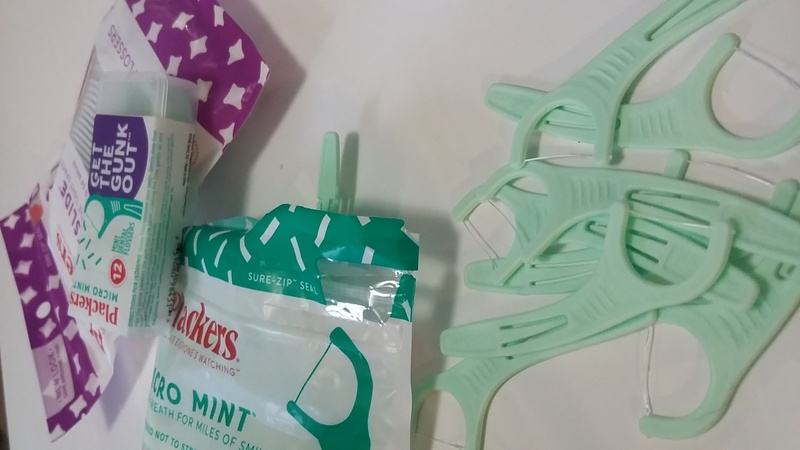 Oh my gosh, I can’t believe how much better and easier it is to use them to floss versus the dental floss I’ve been using. Plus they have a toothpick on the end making them all the more desired in my opinion. I now keep some in my handbag for when I eat out and I think it’s really helping to cut back on cavities by flossing better. When you head out to pick up some REMBRANDT products, don’t forget Plackers Micro Mint® Flossers and Plackers Micro Mint® Travel Pack Flossers and my fave, the Plackers Gentleslide® Flossers. They are thicker and really get everything out of my teeth. I promise you’re going to love flossing once again. And they taste great too. Don’t forget to look for the kids flossers. I’ve never used those Plackers although I’ve seen them. I like the idea of a spring cleaning for your teeth. I just had my teeth cleaned by my dentist this would be a great way to keep them sparkly. Plackers are the best! I don’t use regular string floss any more. And my kids use them too. 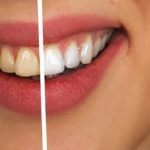 Good to know about good dental care routines. I really need to try out the Rembrandt products. I drink too much coffee and it is taking a toll on my pearly whites! We love the Rembrandt brand! 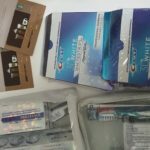 Our favorite are definitely their teeth picks with flossers because when you’re on the go, it’s embarrassing to have junk in your teeth. Those are really awesome. I take good care of my teeth because dental health matter to me very much. I think these products are going to help us do just that. I love Plackers floss and I use it everyday. It’s the best floss that I’ve ever used and it’s super convenient. Plackers is the only brand we use here. I love that it is very easy to use unlike the regular kind of floss. I think I’ll have to do some teeth whitening soon. I drink coffee as well and while they look white to me, I’m sure they need some TLC. I’ll have to give these a try. I love those picks. They are much easier than plain old floss. I have to check out Rembrandt. This seems like a great product! 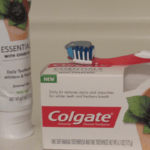 I am always wanting to keep my teeth healthy and clean looking, but knowing where to start with products can be difficult. This is really helpful, thanks! This Mister loves plackers. I have to look into getting this brand for him. I love that it’s sold at some of my favorite stores. Those Plackers with mint are in my purse, my desk at work, my nightstand, our bathroom, our cars, we are fans. That little fold out pick is perfect for picking between braces. This just reminds me that I need to go back to the dentist LOL. I need to get my teeth cleaned and I know I need to get some work done. This is a great reminder. I think I will buy this product so that I can at least start the cleaning process before I get to the dentist. I’ll have to look for Plackers and Rembrandt! They sound like a really great pairing for ultimate teeth cleaning. Nice! We actually really like Plackers for when we travel–we even use them on our kiddos! We use plackers for the kids. 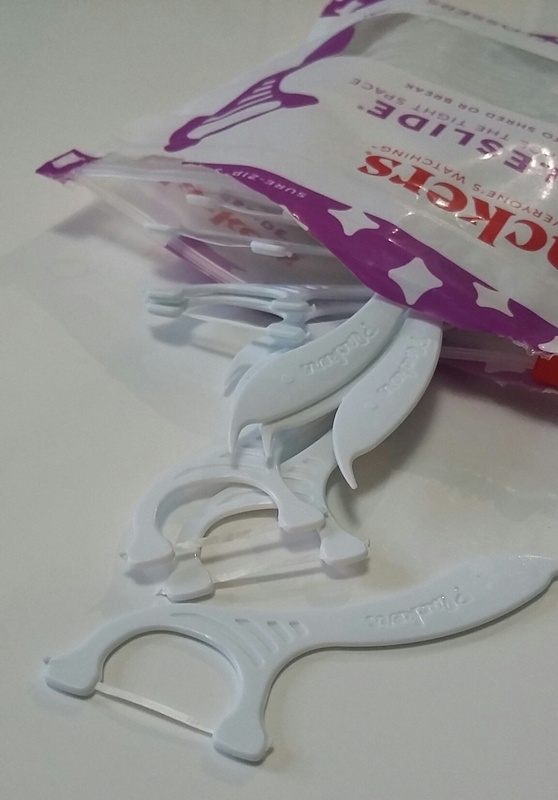 They are so easy for flossing! 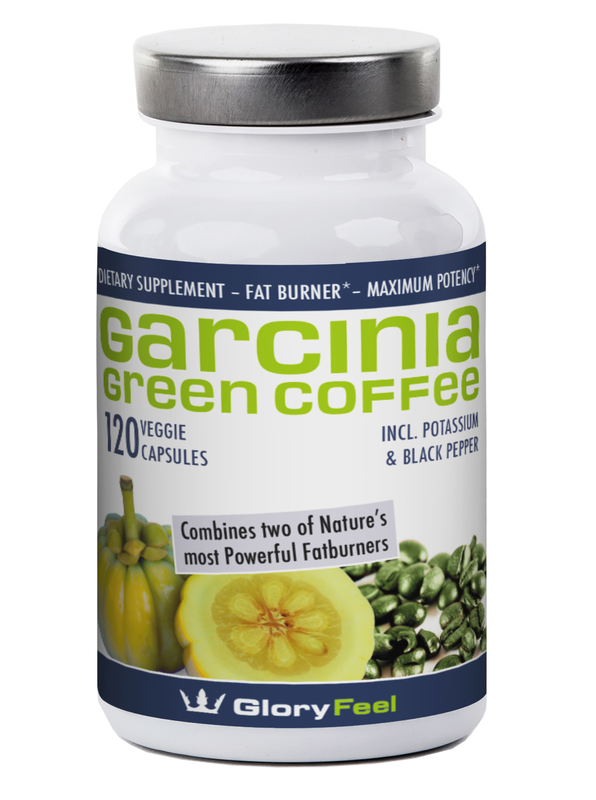 This is one product I have never used but after reading through the information will have to check into it closer. Sounds like something we could use. I do use the Plackers often! I prefer that to regular floss. I like the mint flavored ones. I’ll have to try out this toothpaste! I wasn’t sure so I headed over to the website and I found this answer in their questions and answers. Hope it helps and now I know I can let the kids use it too. 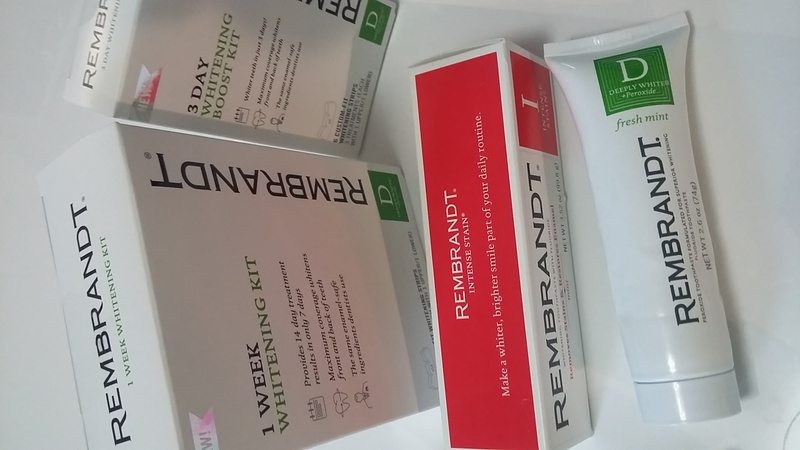 Rembrandt Deeply White toothpaste is recommended for adults and children 2 years of age and older. For children under the age of 6, use a pea-size amount and instruct the child in good brushing and rinsing habits (to minimize swallowing), and supervise children as necessary until they are capable of using without supervision. Is it safe for kids? I was looking for a good tooth paste for my kids.